Cineworld Fountain Park is to introduce Edinburgh's first IMAX screen from 21 December. The new cinema promises, 'ground-breaking, crystal clear digital projection, cutting edge audio technology and one of the largest screens around'. With 3D passing the peak of its popularity, IMAX is becoming the new go-to format for movie studios looking to add oomph to their blockbusters. The Edinburgh screen will become one of the 19 across the UK. 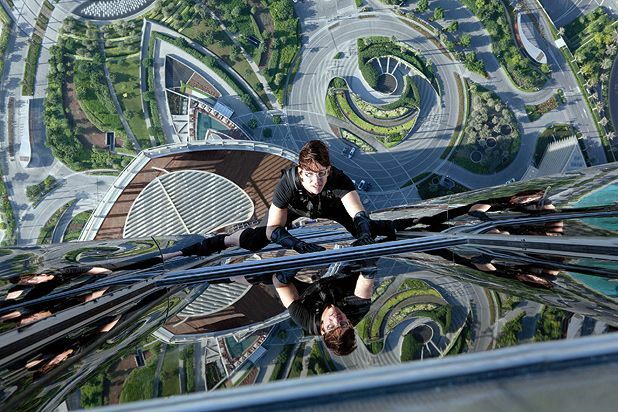 Cineworld will be christening its new partnership with IMAX by showing Mission: Impossible - Ghost Protocol at a series of gala screenings this week. Upcoming IMAX films to be shown will include Dark Knight Rises, Wrath of the Titans, The Hobbit: An Unexpected Journey, Men in Black 3 and The Amazing Spiderman.